However, on this page you’ll find the basic overview of our program, and you can decide if L.G. Cook might be a good fit for you and if you’d like to learn more about what we do here. Camp is open to all youth, ages 8-16. A session at L.G. Cook runs six days and five nights. Drop off is Monday morning at 10 am, and pick up is the following Saturday, also at 10 am. Our season runs all of July and most of August. We have a limited Early Drop-Off on Sunday night available as well. We only offer spots for one cabin of boys and one cabin for girls so Early Drop-Off routinely sells out. Register early if you’re interested! We are located in beautiful Stokes State Forest, in Sussex County, New Jersey. L.G. Cook sits on 108 acres all to its own, with a private lake and variety of rustic buildings including our Main Dining Hall, Craft Shop, Nature Center, 11 cabins and many others. 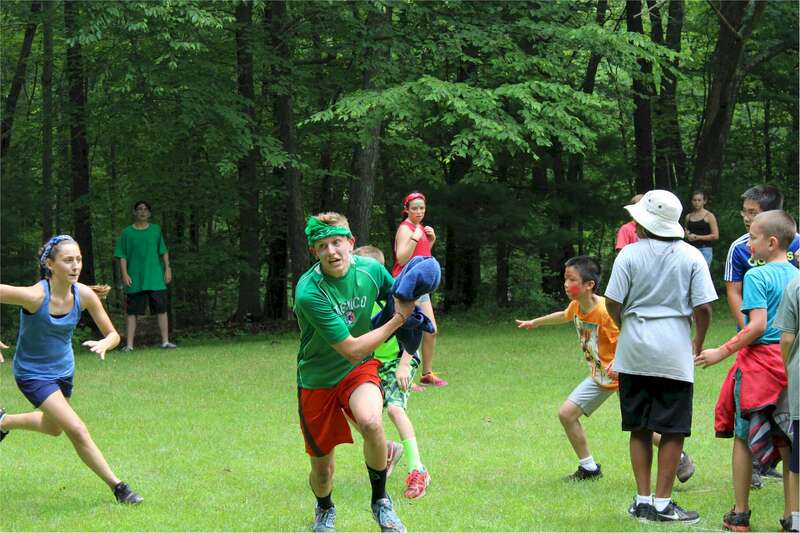 Our campers reside in our cabins with up to 15 cabin-mates and two counselors. Cabins are grouped by age. If two campers of the same age group request to bunk together, we can ensure that they will be cabin-mates. Mutual requests between two campers in the same age group are the only ones that can be guaranteed. A day at Camp is jam-packed from wake-up to sun-down. 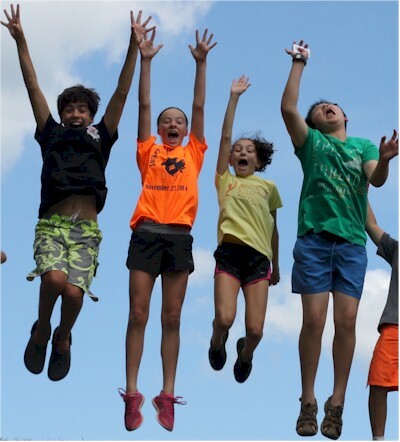 Every day includes a huge variety of activities that instill a love of the outdoors, build confidence in our campers own creativity, and encourage them to bond with their new friends by trying new things in an exciting and supportive environment. Themes are like the spice of a Summer Camp week, a way for us to “switch it up a bit” for each session of the season. 95% of every Camp week features the same great classic Camp schedule and activities, but each theme brings its own unique twist. We are a 4-H Camp, and this means that everything we do underline the principles and philosophies of 4-H. We endeavor to have our campers use their heads for better decision making, that their hearts become more caring and empathetic, that their hands to help and assist other, and that they create a healthy community. Campers do not have to be 4-H members to attend; in fact the majority of our campers are not 4-H members. To learn more about 4-H in our state, click here. Want to find out more? Check out our Camp Survival Guides, call us at the Camp Office, or set up a tour? We offer Summer Camp tours daily upon request, September-May.